Team Evolution’s (TE) Orville Hinds will roll into the hills of Linden this morning for the final leg of the ‘Golden Jubilee Three-Stage’ road race with the yellow jersey and a 29-second lead on club mate, Michael Anthony. 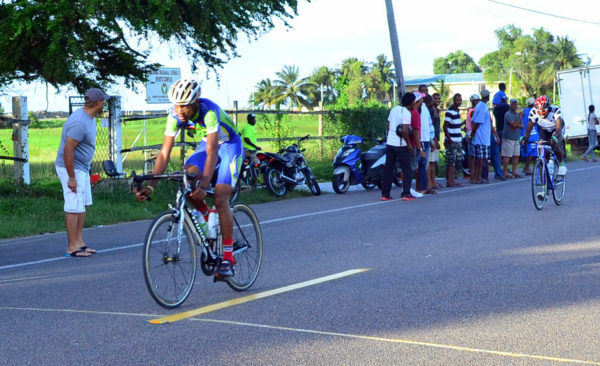 The 25-year old national rider out pedalled 55 other wheelsmen to win the initial stage stage from Corriverton to New Amsterdam yesterday morning and followed it up with a second place finish to Anguilla’s Joseph Hercules to preserve his overall lead (4hr:15m:36s). Team Coco’s, Junior Niles is currently third overall (4hr:17m:25s) but another (TE) standout, Marlon ‘Fishy’ Williams lurks just a second behind with 64.5 miles remaining. 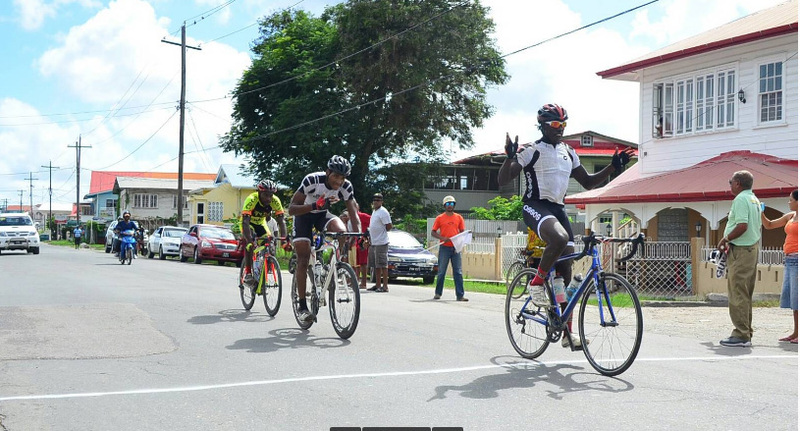 Shaquel Agard (4hr:17m:29s) and Hercules (4hr:17m:57s) occupy the fifth and sixth positions respectively. Hinds, who led a TGE podium sweep in the 33rd edition of the race last year, is currently in sublime form and is primed for a repeat. Niles and Andrew Hicks controlled the initial stage for the first 20 miles, at one point opening almost a minute and 30 seconds on the chase peloton. But when Hinds, Anthony and Jeban Crawford connected, the five-strong unit created more separation with every powerful turn of their pedals. The five stretched their lead on the rest of the peloton by riding as a team until the final stages where Crawford and Hicks dropped off the pace which reached a searing 60ks at one point. With work horses, Hinds and Anthony high pacing and Niles hanging on, the trio easily staved off the challenge of the chasers behind. There were no theatrics in the final moments of the stage as Hinds, Anthony and Niles biked in casually across the finish line. Williams and Agard outrode the fading Crawford and Hicks and had enough left in their legs to bike in fourth and fifth, one minute and 19 seconds after the leaders. 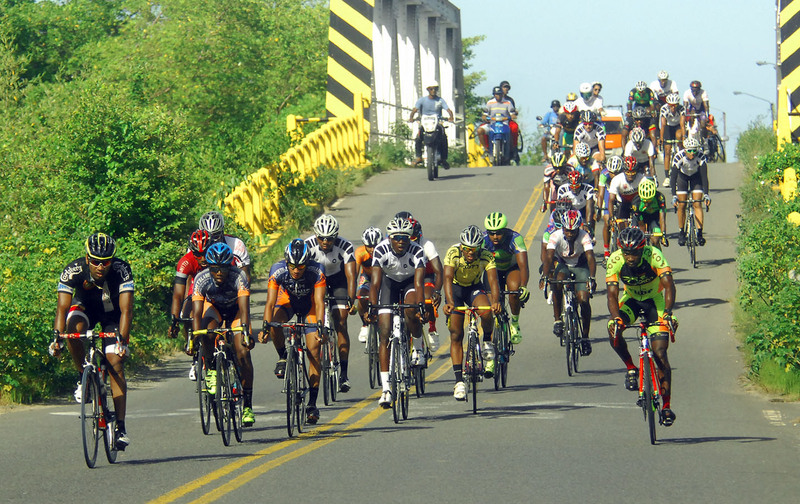 There was not much action involving the riders until Mario King transformed into time trial mode and went on a solo break about five miles after the Abary Bridge. Helped by a litany of punctures, King managed to open a lead as much as three minutes on his nearest rival. 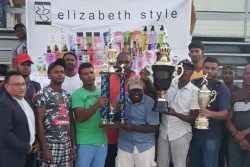 At the Mahaica Bridge, Hinds and his Team Evolution club mates, Anthony, Williams and Leal and some riders from Anguilla changed gears and went in pursuit of King. The chase pack closed in and reconnected with King just before the village of Belfield. The tempo then significantly slowed until the peloton reached Buxton. 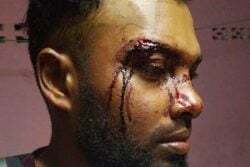 At this point there were a series of attacks by Williams, his club mates and the wheelsmen from Anguilla. At Plaisance, Hinds and Hercules attacked the peloton and had a two-man battle all the way to the line with Hercules winning by a few bike lengths. 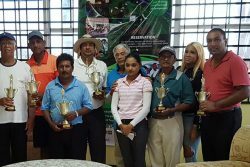 Action in today’s finale starts at 08:00 in Kara Kara, Linden.